Facebook Is on the Verge of Releasing a Feature That Will Make Users Get Their Dream Job. Success is not just being successful but also entails positively affecting the lives of those around you. It is no news that our love for Facebook has sold Mark Zuckerberg and has consequently made him one of the richest businessmen in the world. To reciprocate this, Facebook has announced that it would soon roll out a feature that would enable companies to post job openings and applications directly on your Facebook page. US and Canadian companies would be able to post these job openings on Facebook, thus; bringing them closer to job applicants. Wow! Apart from "Jesus Loves You" and "Credit Alert," this is the nicest thing I have heard and read this year. Mark Zuckerberg is just an intelligent businessman. In spite of the billions of people who visit Facebook everyday, this new feature will no doubt increase the traffic on Facebook. This is such a superb news for those applicants who have searched for jobs in every nooks and crannies but to no avail. Meanwhile, you can read why your Curriculum Vitae (CV) gets disqualified and aborted Here. Those seeking jobs in the US and Canada can easily apply for jobs by simply clicking on the "Apply Now" button on their tabs. Afterwards, Facebook automatically fills some of the required information (name and location) from their Facebook profiles. The applicants can also review the information before sending it. It does not end there oh! After sending the information, Facebook creates a conversation between the job candidate and the business in order to match the applicant with the right job. Choiii! My love for Facebook just increased. I can see millions of Nigerians storming Facebook as this new feature will really reduce the unemployment rate in Nigeria where most people get jobs based on who they know, rather than how qualified they are for the jobs. 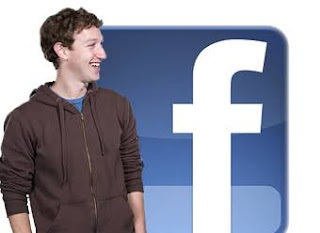 It will also interest you to know that Mark Zuckerberg, the founder of Facebook, is on the verge of launching Facebook standalone TV app that will let you watch Videos from your friends and liked pages on TV. Also, after acquiring WhatsApp Messenger and Instagram, Mark Zuckerberg tried buying SnapChat but SnapChat's CEO declined the deal. Undoubtedly, Mark Zuckerberg is a man who really wants to make successful those who had made him successful. This will eventually make him more successful. Ask me why.